Rubenerd: Could Adobe #fail any more? Could Adobe #fail any more? So I wanted to download some trial software from Adobe.com. No wait, scratch that, I was required to download some trial software from Adobe.com. This is My Tale. Firstly, I'm fully aware that I'm a paranoid internet user. I run NoScript for dynamic content, XSS protection and a slew of other privacy and security features, PermitCookies for cookies and RequestPolicy for XSRF protection. These tools all operate on a whitelist principle; that is block everything by default unless I explicitly make an exception. Most sites break with these extensions blocking everything, but temporary exceptions allow sites that were written poorly (in my opinion!) to work. That is, except Adobe.com. No matter what I did with these extensions, Adobe.com refused my login credentials, and when I attempted to create a new account just in case my old password didn't work, the site refused to finish the signup form. For a company with billions in the bank and with the specialities they have, this is inexcusable. I'm sorry, but I don't buy into the idea that it's my fault for my privacy and security extensions if almost every other site is able to work without problems! So eventually I gave up attempting to use Firefox to access this site, so I fired up Camino. Before I got extremely paranoid Camino was my favourite Mac browser, and I still use it for sites that refuse to play nicely with my bolted down Firefox installs. After ascertaining that the site wouldn't log me in because I'd forgotten my password (which they didn't inform me of in Firefox), I went through the process of resetting my password. Adobe.com assured me they'd be sending me an email to my elected email account with a link to reset my password. That was over two hours ago, and nothing arrived. Nothing in my spam folders or filters, nothing. Eventually I gave up and opted to create a new account with a disposable email address, which fortunately worked. I got a kick out of the fact the sign up screen truncated the Australian Capital Territory rather than just abbreviating it, and that they informed me my password was not between 6-12 characters. That's right, Adobe complained that my password was too secure. @ShaunLorrain on Twitter knows what I'm talking about. @Rubenerd I know right, @Adobe always tells me my password is too long or complex. Seriously though, who designed this facacta site? What a bunch of jabronis. Of course downloading trialware from Adobe can't be easy either. Adobe, like IBM/Lotus and Microsoft, can't just give us a direct download to the software we're requesting, they have to get us to download a stub application that is then used to download the application. Reminds me of this dialog box on Windows that I blogged about, and my adventures with downloading Windows 7. Unfortunately its even worse than the obnoxious Java applet you need to run from IBM to download Lotus Symphony. 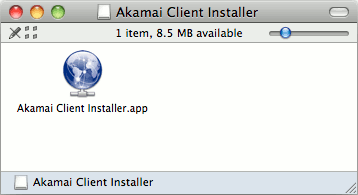 Like the Microsoft download tool, Adobe actually makes you download an application to your desktop in the form of the Akamai Download Manager that then downloads the file you requested. I like to keep my systems extremely neat, clean and tidy, and I simply don't install software unless I have to. Considering I spent most of my living days in front of computers, my /Applications folder on my Macs and my package managers on FreeBSD and Linux are kept reasonably trim. The fact I have to download and install software to download and install software… is offensive. It means I have to uninstall the junkware they got me to install… to install something. Given Adobe's appalling software security track record and the fact they're software is known to be the most insecure in the industry now, installing extra software from then puts me on edge. As of now this download is moving along at about 430KB/s, which means it should be done in about an hour. Granted at least their downloads are faster than getting drivers from HP, if I were downloading 1.72GiB of stuff from them I'd be waiting for weeks for it to finish. Not an exaggeration! In the meantime, if you'll excuse me, I'll be using Inkscape!